When patients have imperfections affecting the front (anterior) teeth, they can choose between two different ways of treating them – composite resin bonding (dental bonding) or porcelain veneers. Dental bonding and porcelain veneers are popular options for our patients to consider when it comes to addressing imperfections of the smile. When there is a problem with the appearance of a tooth, it may be addressed in different ways. Cracked, permanently discolored, misaligned, and misshapen teeth can be disguised using solutions such as these. Dental bonding and porcelain veneers are the two treatment choices patients have for quickly and easily addressing these issues. First, it is important that patients understand how each of these treatments work. Dental bonding, or composite resin bonding, is a special material that is applied to a tooth. It can be hardened with a special dental light, and then filed and polished to look just like natural tooth enamel. Porcelain veneers, on the other hand, are restorations that are made of ceramic in a dental laboratory. These facings are then bonded onto the front of teeth to change their appearance. While similar in nature, these two treatments are quite different. Dental bonding is a more economical solution. It is less expensive than porcelain veneers. It is also faster, as patients can have dental bonding placed during a single appointment. 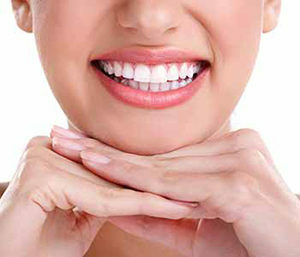 The dentist will assess the smile, determine the changes that need to be made, and use the dental bonding accordingly. Patients will leave the dental office that same day with their results achieved. Porcelain veneers are a little different and take more time. These facings are made after the dentist has prepared the teeth by filing down a portion of the enamel. Then, the dentist will take impressions, which are molds that show the shape of the tooth. The impressions are sent to an outside laboratory where a ceramist will fabricate the final restorations with the dentist’s specific instructions. Patients will often have temporary veneers placed during the first day, and then return to have them removed and have the final restorations bonded onto the teeth. Porcelain veneers are more expensive than dental bonding and take more time, but they will last longer and are not susceptible to staining. Porcelain veneers can last a decade or longer with proper care, while patients with dental bonding may need to have it replaced every few years because of discoloration. Determining the cosmetic treatment that is most appropriate for a patient’s smile is done during an initial consultation appointment with Drs. Aurelia or Khoury. 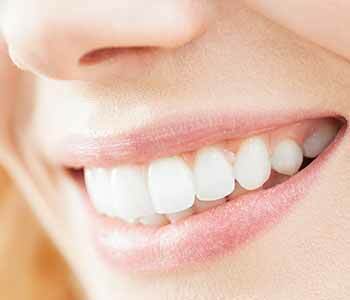 Our dentists will evaluate the patient and speak with them regarding the pros and cons of each treatment. Then, with the help of our team, the patient will decide about the treatment they are seeking to determine the most appropriate option for their specific dental needs. Some patients will look into investing in long-term treatment with porcelain veneers, while others may need a short-term option that is more affordable to them at the time. Are you ready to discuss your options for cosmetic smile enhancement? We welcome you to book a consultation visit with Drs. Aurelia or Khoury to learn about the differences between solutions such as dental bonding and porcelain veneers, two cosmetic treatments that are readily available in our practice. We are located at 804 North Main Street, Suite #201A in Rochester, MI and can be reached by phone for an appointment at (248) 243-6044 .